Medical students at Washington State University have a national voice, thanks to David Choi. Though the WSU Elson S. Floyd College of Medicine is one of the newest medical schools in the country, Choi was elected last spring to represent med students in nine states as western region chair of the Association of American Medical Colleges’ student branch. AAMC represents all 152 accredited medical schools in the nation and their 89,000 medical students, plus VA medical centers, major teaching hospitals and health systems and academic societies. Choi, a devoted Coug who graduated from WSU Vancouver, said he got involved in AAMC’s Organization of Student Representatives as a way to participate in the ongoing work of building the College of Medicine. He’s had a longtime interest in policy and was involved in student government in Vancouver, including a stint as president of the campus. Choi, who’s 24, said going to medical school wasn’t always his dream. A state College Bound Scholarship changed that trajectory, and he majored in biology at WSU Vancouver. He’s considering the field of psychiatry because of a longstanding interest in mental health. 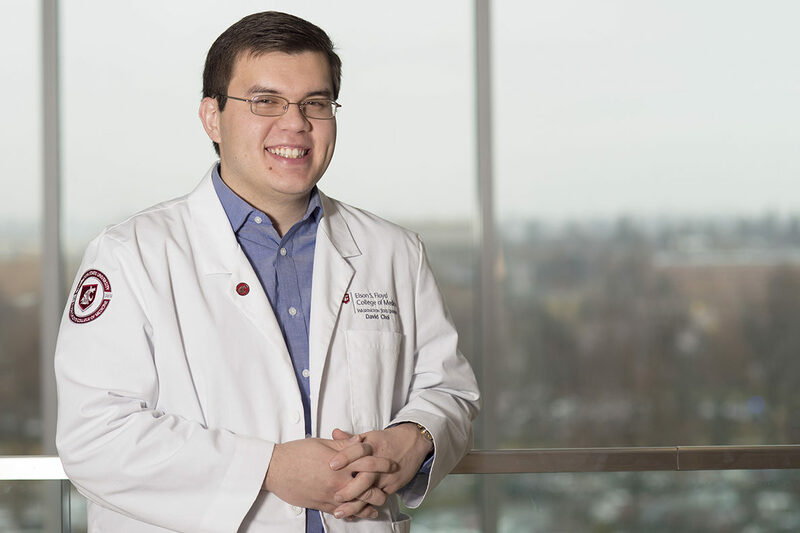 His goal in medicine is to serve, whether that’s service to under‑represented communities as a doctor; to WSU as a preceptor; or to the state that helped him get to medical school, in health care policy. AAMC’s student branch addresses big issues in medical education, Choi said. For instance, he’d like to see more emphasis on wellness, citing statistics on the incidence of anxiety and depression among medical students. Right now, however, his main focus is medical school.